A unique abstract oil painting for a brut interior ! The XXL dimensions of this contemporary oil painting are 180X60 cm. For the purchase of this design paint canvas, the 24/48h delivery is free in metropolitan France. Each art for sale is waterproof and treated anti-UV. 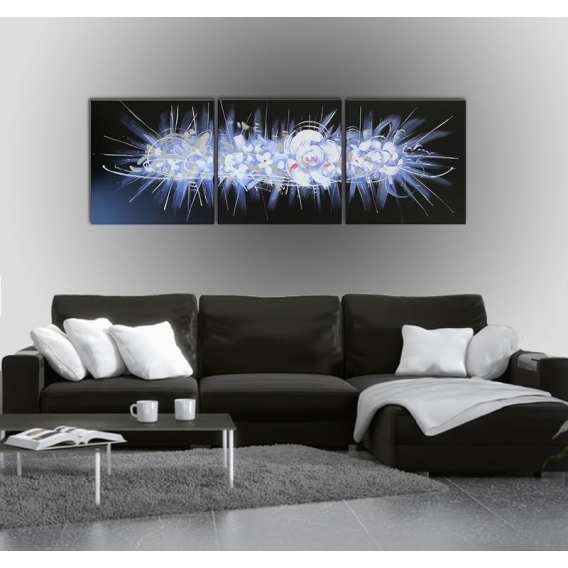 An abstract oil painting in several elements on a black background that will perfectly decorate your home ! 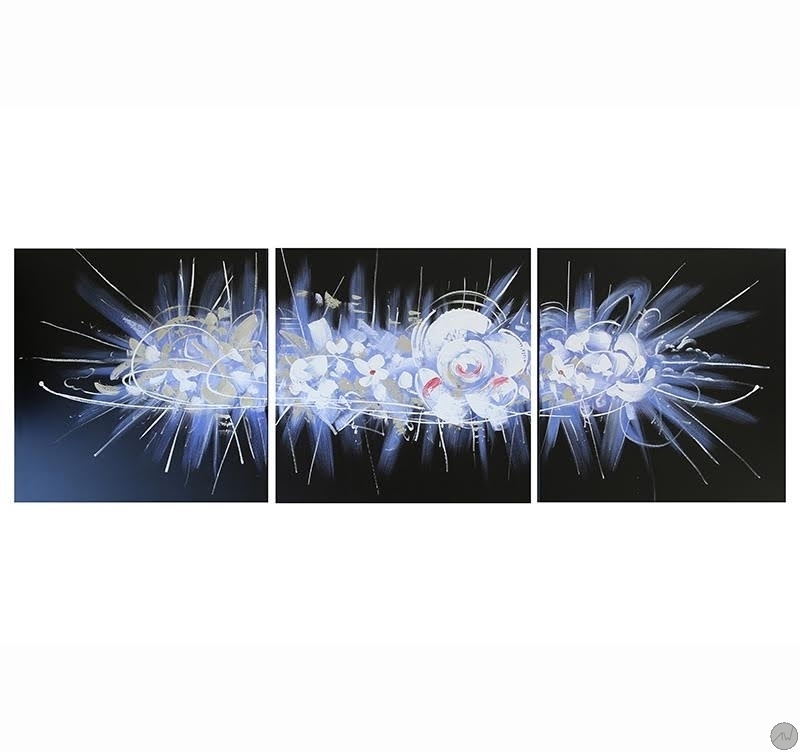 If you are looking for a contemporary oil painting to adorn your walls, this modern decoration will be perfect ! With white flowers in the middle of this trendy paint canvas, you can feel all the strength of nature… Beware of the thorns enhancing this deco paint canvas ! The hand-painted canvases are delivered wrapped and with cardboard corners and hanging system. 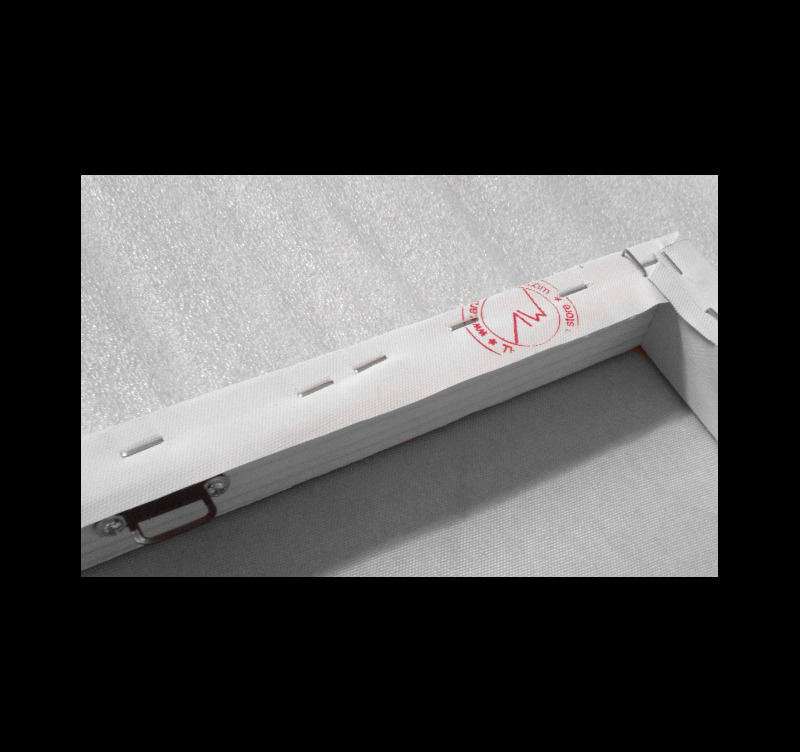 All the modern canvases in the category paint canvases are not reproductions and are hand-painted by our artists before being anti-UV and anti-damp treated to ensure a better finish and a long-lasting quality.